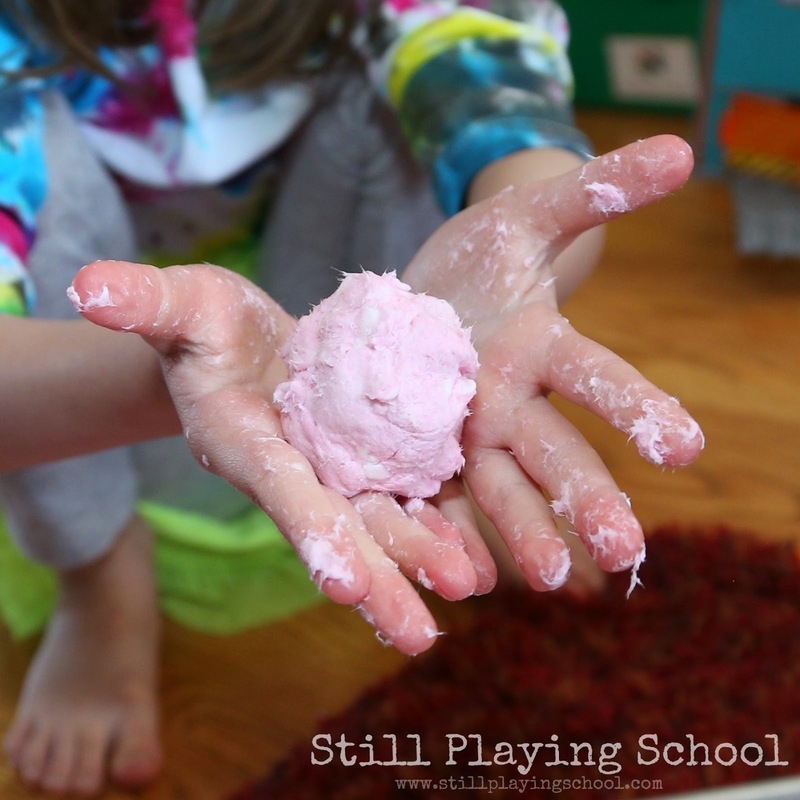 We made clean mud sensory dough for the first time! It smelled amazing but my kids weren't too taken with the texture until I hid gems inside to invite them to a fine motor treasure hunt! 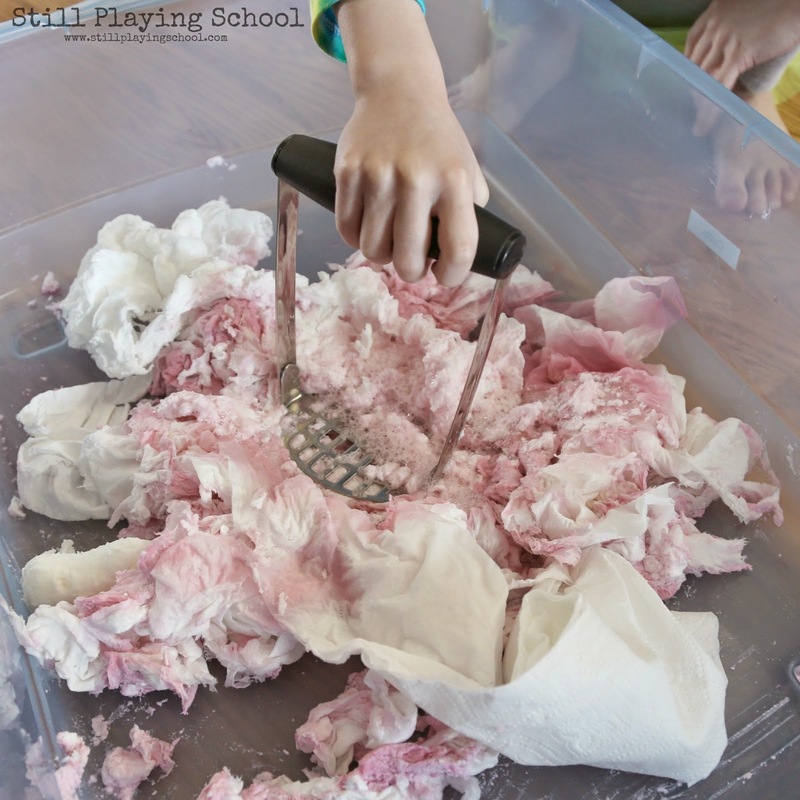 We followed Happy Hooligans' directions for making Ghost Mud! 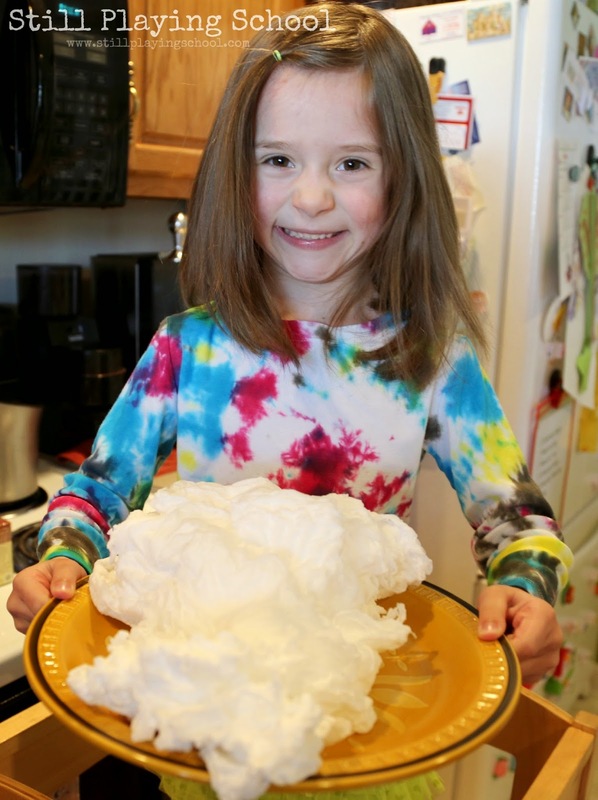 Of course, the coolest part was exploding the Ivory soap in the microwave. Just look at her smile! She also helped me mash up the mixture with our potato masher since she didn't want to get her hands dirty. 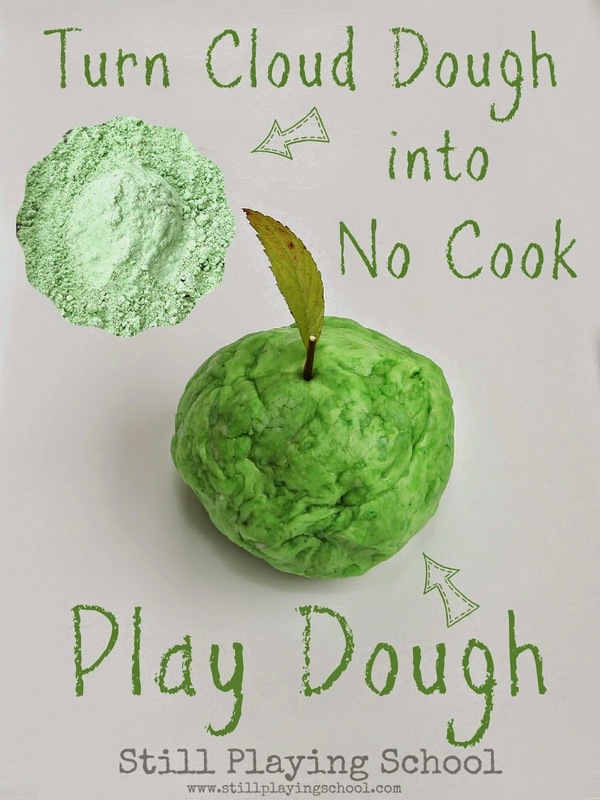 Once the slick dough was formed both of my kids were reluctant to play with it for long. 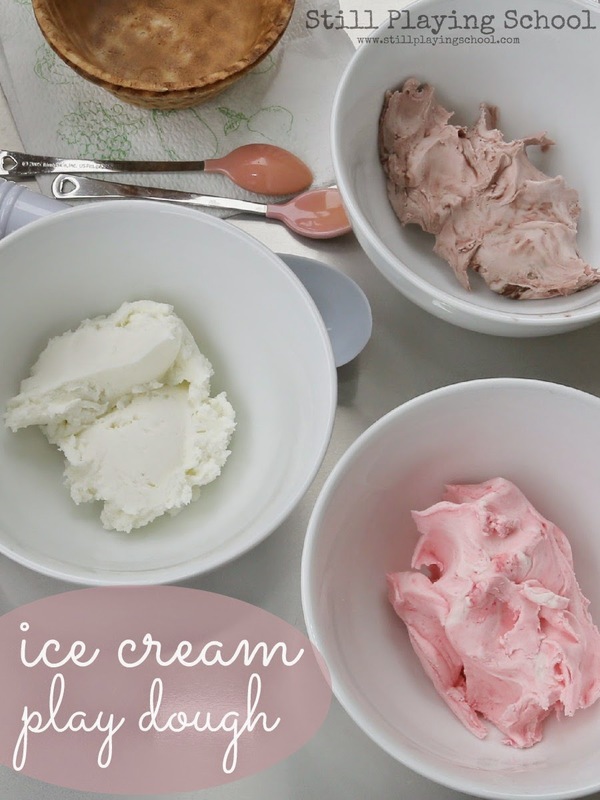 I packed it away for a few days in an air tight container (It stores well!) while I brainstormed how we could use the clean mud. 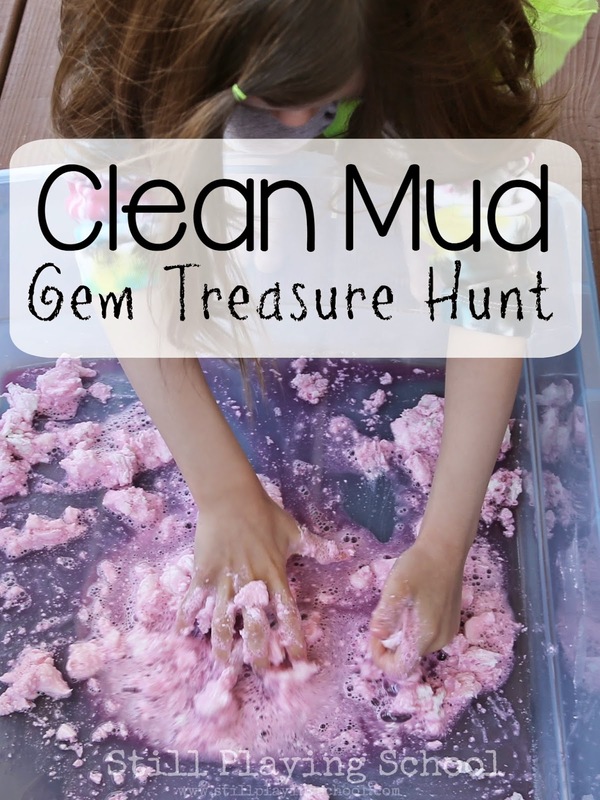 I presented the clean mud again on a new day with acrylic gems hidden inside! 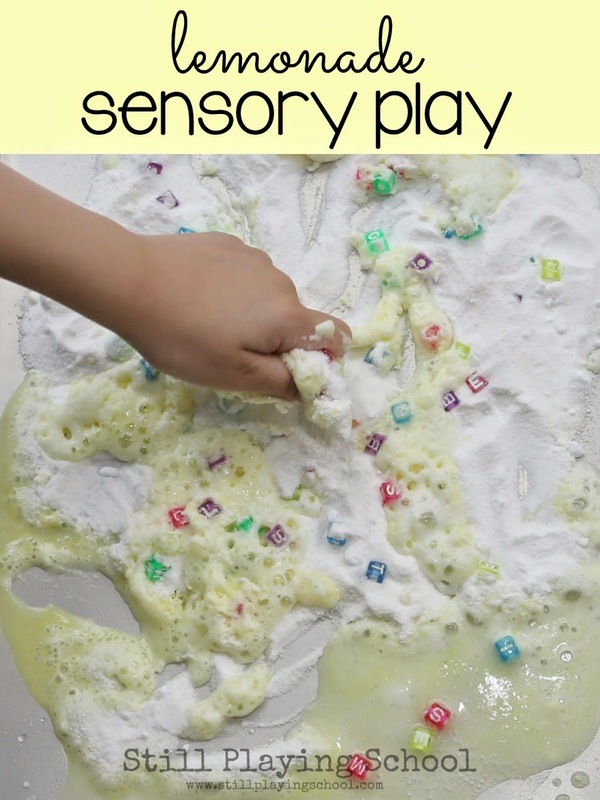 That was just the motivation they needed to dig right in using the fine motor muscles in their hands and wrists. A basin of warm water and a wash cloth completed our clean mud treasure hunt. 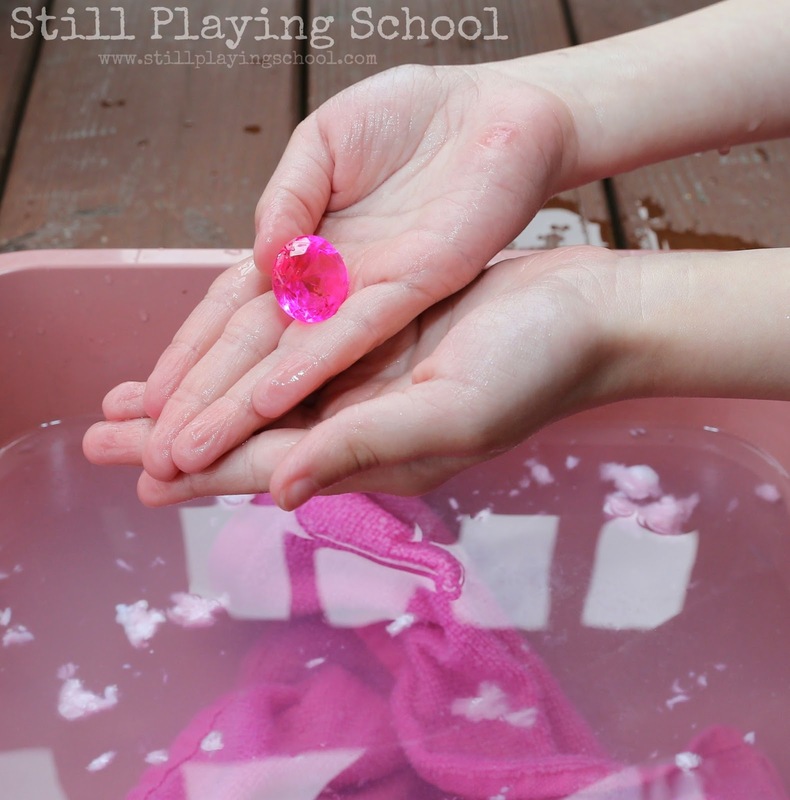 They loved washing off the gems they found and counting them too! 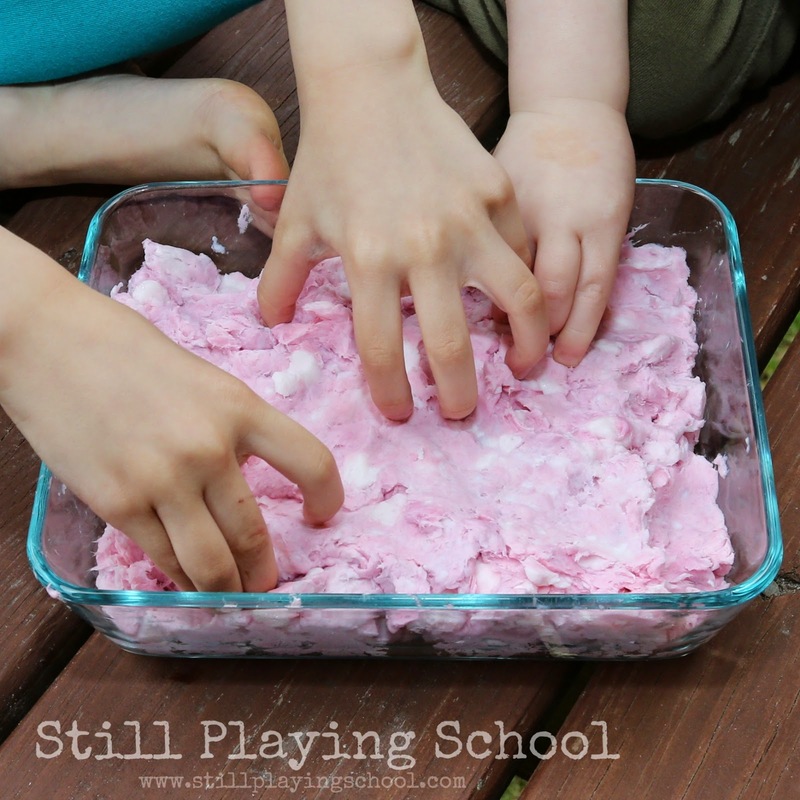 Follow Still Playing School's board Recipes for Play on Pinterest.